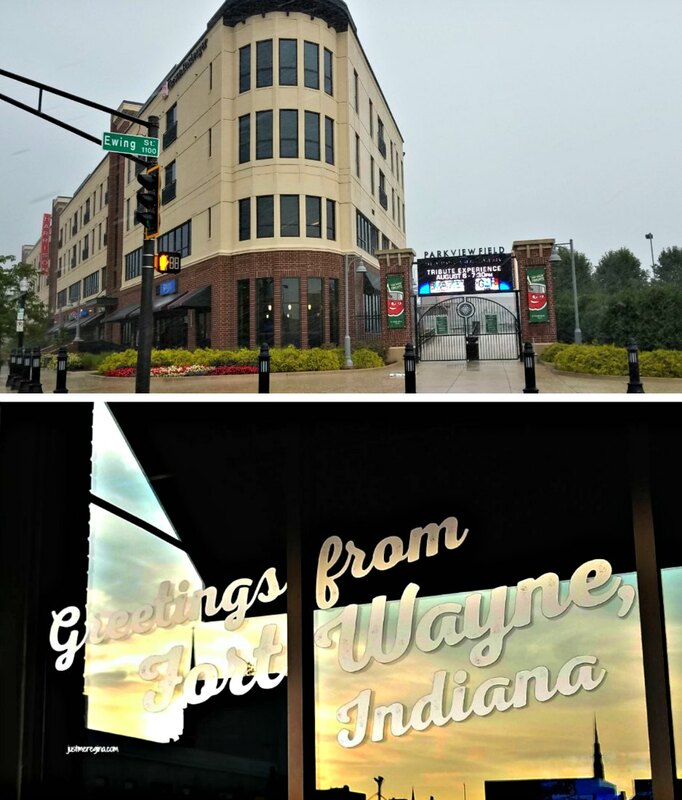 Thanks to the Visit Fort Wayne Indiana for the wonderful opportunity to visit some cool places in and around Fort Wayne. 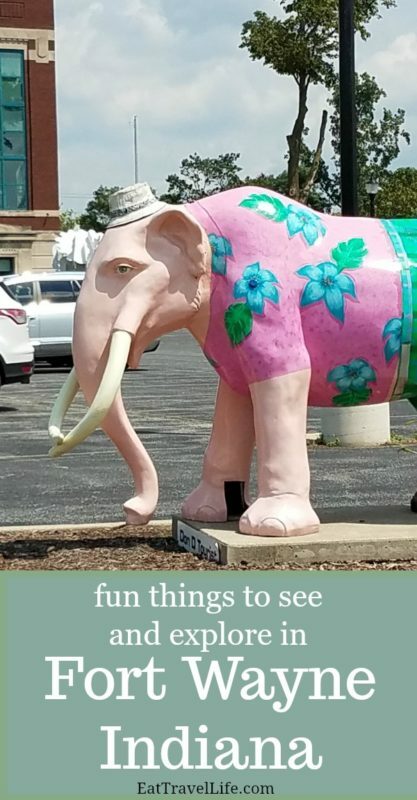 See my suggestions to visit, stay and eat while in Fort Wayne Indiana. Fort Wayne is in northern Indiana, easily accessed from I-69. There is a mall and many activities around the city, but there is a lot waiting for you downtown. 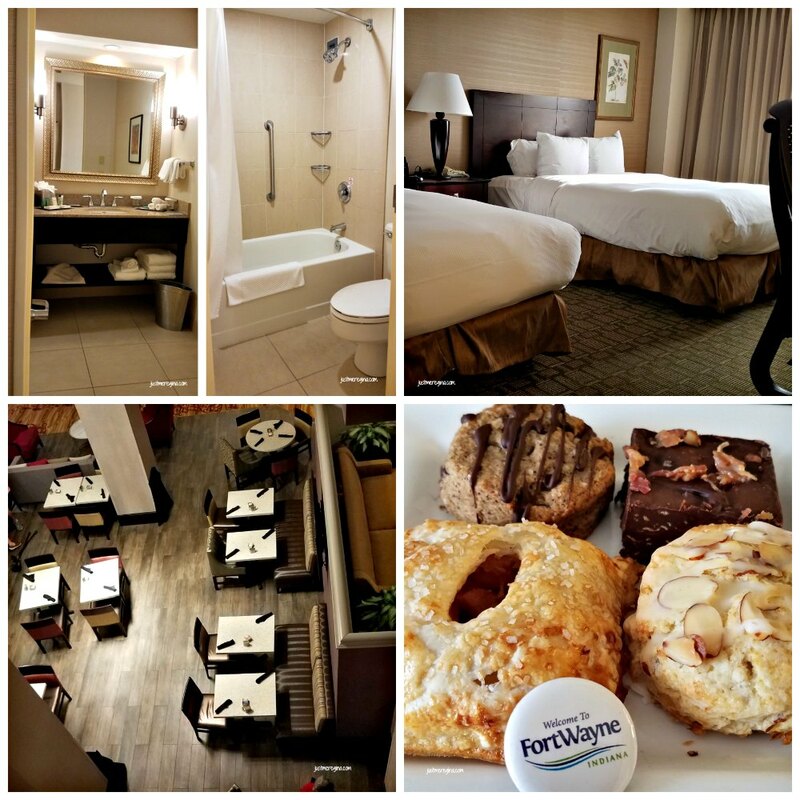 Staying at the Hilton in downtown Fort Wayne (located 1020 S Calhoun St). The Hilton is part of the Grand Wayne Convention Center. Located in the heart of downtown Fort Wayne, you are in walking distance to as much of the city as you want to see. Conveniently located to a parking garage across the street and you can take the crosswalk to get to and from your vehicle. We had a beautiful view of the sun setting looking towards Parkview Field (home of the Tin Caps). Our bed was divine. No one wanted to get up in the morning (we all slept in). The shower/toilet were separated from the sink area, allowing you to get ready while the bathroom was occupied. No need to go far for breakfast, lunch or dinner. There is an onsite restaurant and lots of space in the lobby to relax. 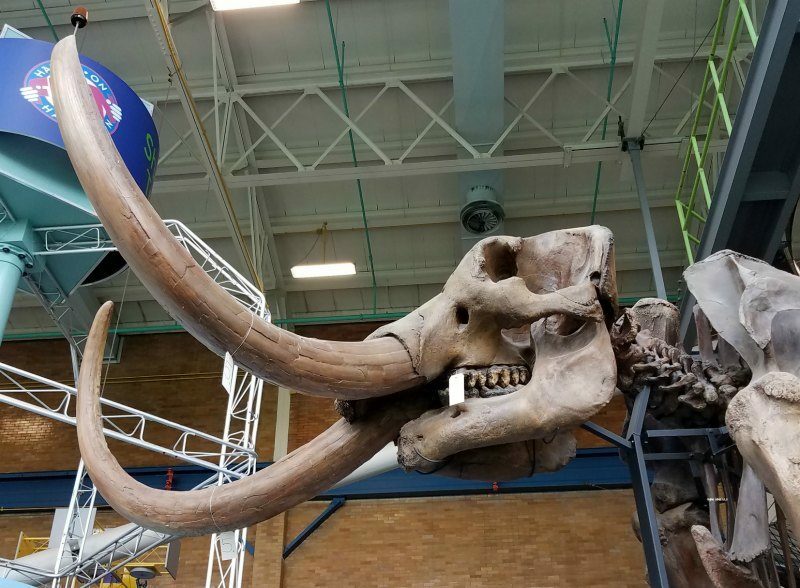 There are so many great things to see and do with your family in Fort Wayne. Foellinger-Freimann Botanical Gardens – This beautiful garden is located in the heart of downtown Fort Wayne (1100 South Calhoun St) Check out the 25,000 square feet of gardens. They are even a plant rescue. There are beautiful outdoor gardens to see as well. There are many programs events going on throughout the year. 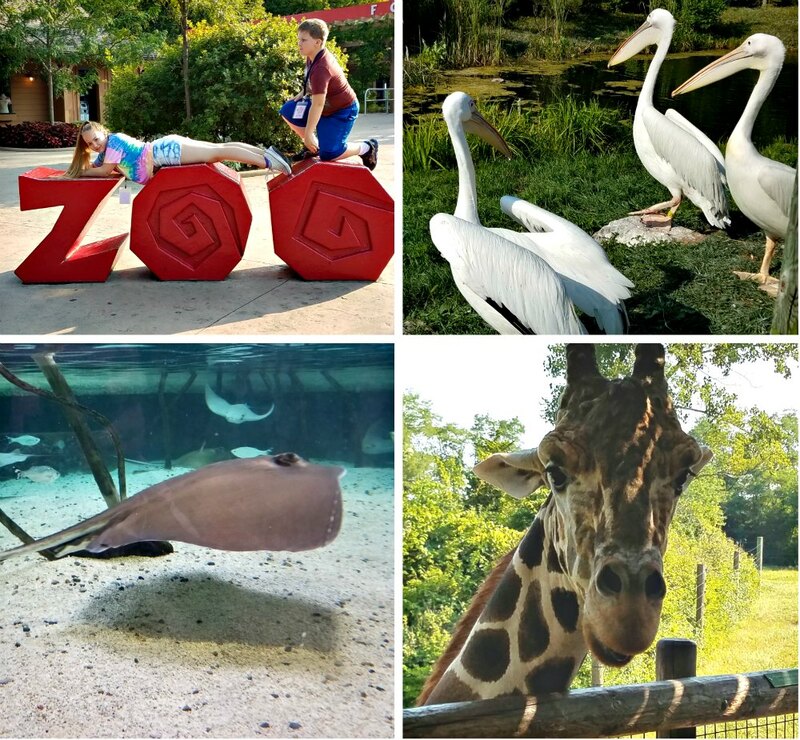 Fort Wayne Childrens’s Zoo – Spend a day at the zoo exploring the different animals (located at 3411 Sherman Blvd). You can go from Australia, Africa, Indonesia and Indiana. We saw peacocks on the Indiana Farm, Tazmania Devils (they are nocturnal and were sleeping), stingrays and sea lions in Australia. The kids got up close to giraffe and also saw zebras and ostriches in Africa. Our next visit will include the pandas in Indonesia, we were beat. TIP: Make sure to buy tokens so you can feed the giraffes. 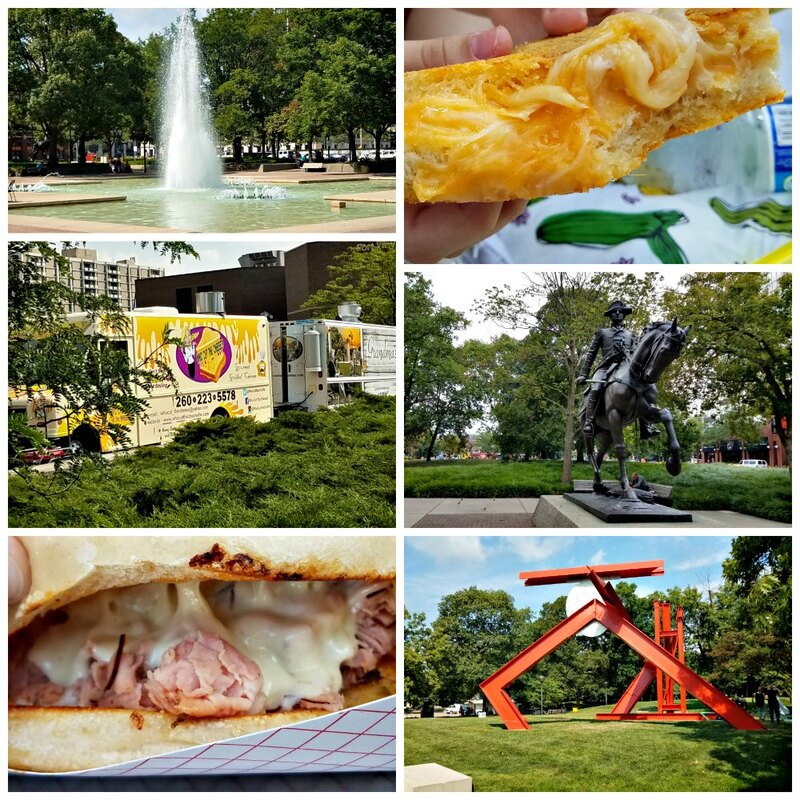 Fort Wayne Museum of Art – located (311 E Main St) right next to the Square makes this a perfect stop after enjoying lunch. Tour the exhibits and see the beautiful art on display. They offer school tours as well. Riverfront Fort Wayne – located downtown. You can take a canal boat ride. They offer different length of boat rides and even can rent out for private events. This is a relaxing way to see the city You can even see other things you might not have noticed that you want to check out. Science Central – This building once was an old power and light building (located 1950 N Clinton St). Science Central has been turned into a learning hub left with all the character of it’s former life. A lot of the gears remained and are painted. My husband told the kids what they were used for. 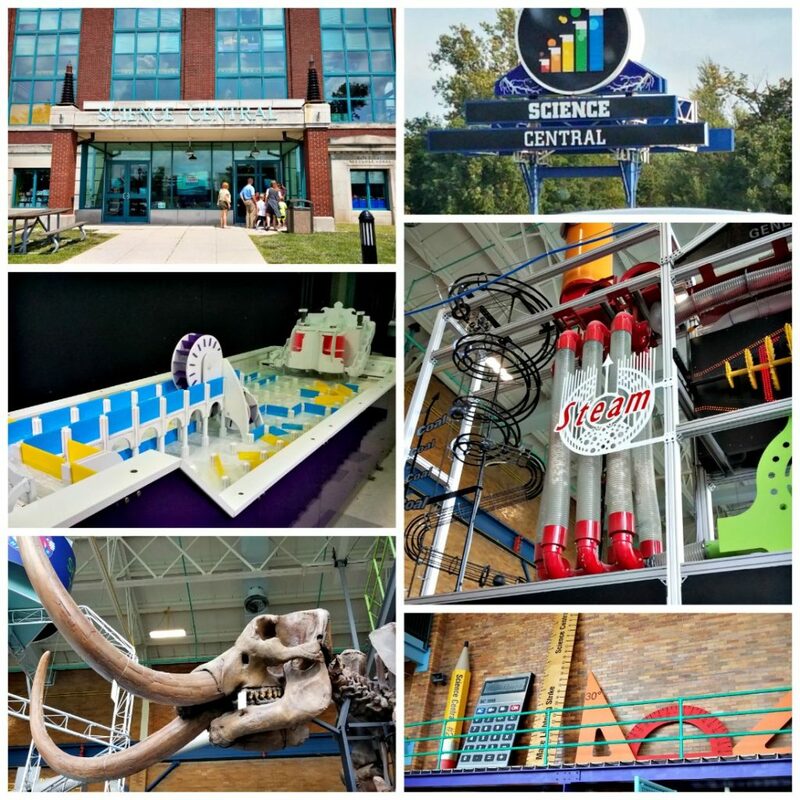 Science Central is a great place for your kids to come in and burn energy. There are 3 floors, most exhibits being on the top or bottom floors. They have traveling exhibits that come in, we got to see RiverWorks. There were kids playing in the exhibit. They were stopping and redirecting water and having fun. Demonstrations are done different times of the day, be sure to get a schedule when you check in. 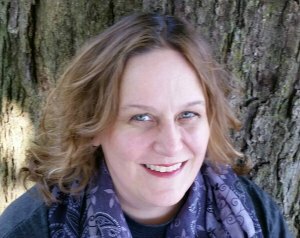 There are many hands on experiences for your kids to check out. Check out the Science On a Sphere presentation. TIP: Bring a lunch and enjoy in their lunchroom so you can continue your visit. Tin Caps Baseball – Visit a Tin Caps game at Parkview Field. Located in downtown Fort Wayne (1301 Ewing St) you can catch a game from the local minor league baseball team. They are the Class A (Midwest League) affiliate of the San Diego Padres. When playing at home, you can find lots of things going on at Parkview Field for your whole family to enjoy. Food Trucks come to Lunch on the Plaza downtown every Thursday June to August 11:30 am-1:30 pm. 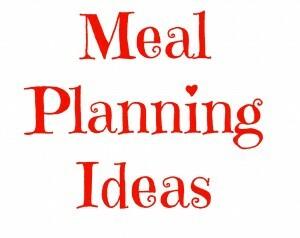 We found something for everyone, even our picky eater! Our family got food from four different food trucks. We enjoyed pizza, grilled cheese and ham and cheese sandwiches. All were really good. While on the Square, there was entertainment and local businesses were on site as well. It was great to just sit and enjoy the scenery, like the water fountain, Helmhotz sculpture (big & red art work) and the Major General Anthony Wayne statue. Freimann Square and Arts United Plaza located at 200 E. Main St. TIP: Bring a blanket and have a picnic! 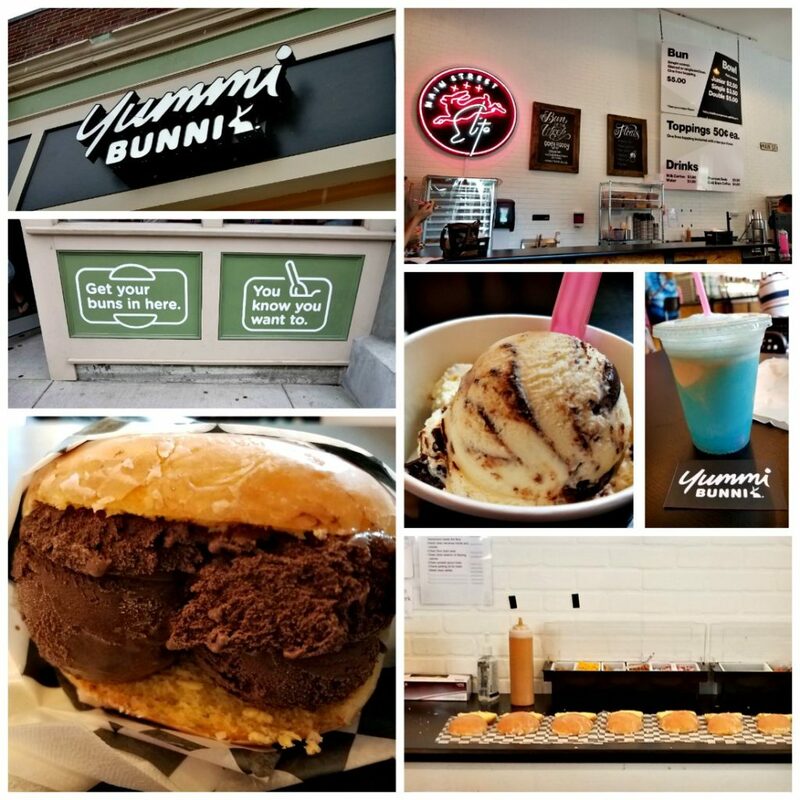 Yummi Bunni – We scooted over to the Yummi Bunni (123 W Main St). Wow. Try your ice cream in a bun (glazed or unglazed donut). It is big enough to share with 2 big scoops toppings are also available. My husband got a piña colada float (no alcohol). We found ourselves tasting everyone’s treats and wanting more of each. What is your favorite things to see and eat in Fort Wayne Indiana?